Hurricanes, tornadoes and other weather disasters can be extremely dangerous. As victims of the recent Oklahoma tragedy know, nothing can prepare you for such upheaval. While the consequences of a storm are never predictable, taking precautions in advance can help to prevent injury and to create an environment of survival before, during and after the storm. Some preparations may include creating an emergency plan, learning how to identify warning signs before a severe storm, and how to monitor tornado warnings. Experts agree that knowing the warning signs can help you stay safe during a storm. Even though tornadoes don’t usually strike the New England region, our Boston personal injury attorneys realize that disaster preparedness can also help prevent injury after storms like Hurricane Sandy. Businesses, schools, hospitals, nursing homes and other organizations should take necessary steps to prepare for a storm. In addition to creating a safe environment for clients, residents, students, or other occupants, employers should be concerned about the safety of their workers. Creating an emergency plan is a necessary blue print to determine where residents, students or employees should take shelter. It should also outline policies to ensure that individuals are accountable. Depending on the premises, there should be specific procedures to deal with any hazardous materials that could pose an additional threat. After a storm, there could be additional dangers posed to workers, including electrical lines, sharp debris, heat illness, and the potential injury caused by equipment used during a recovery effort. Portable generators can create the risk of electrocution, burn, or fires. Immediately after a storm, workers should take every necessary precaution to stay safe, whether in an office building, on a construction site, or facing the elements. Workers who are assisting with recovery efforts may face additional dangers on the job. Unstable premises, electrical hazards, and other unknowns can pose a serious risk to workers involved in recovery or restoration efforts. While employers are responsible for providing equipment, training workers, and providing necessary information to successfully complete a recovery effort, workers should always be wary of latent risks or dangers. Employers are responsible for the safety and health of workers. Companies should create emergency strategies and give workers the information they need to anticipate any hazards associated with response or recovery after a storm. 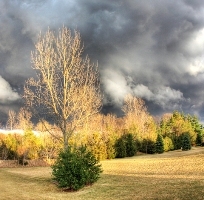 OSHA has provided information for workers and employers to prepare for a storm. Though storm personal injury cases can be complicated, it is important for victims to have a clear understanding of their rights and recovery options. In the event of a storm-related workplace accident, victims and their families may be entitled to compensation. Workers who suffer an injury during or after a storm do not need to prove negligence, they only need to demonstrate that they were injured while in the course of performing work-related duties. In addition to workers’ compensation benefits, all storm victims may also be able to pursue third-party claims against negligent individuals or entitles. If you or a loved one has suffered a storm injury, contact the personal injury attorneys at the Law Offices of Jeffrey S. Glassman, LLC for a free consultation to discuss your claim. Call 1-877-617-5333.